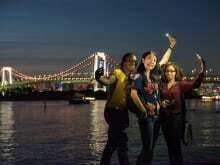 My name is Kazu, a photographer based in Yokohama. I'm focusing on portrait photography such as couple photos or family photos. 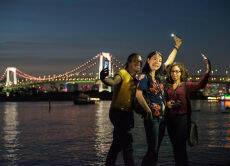 I would like to help visitors from other countries to have chance to take quality photos of themselves while their visit in this beautiful country of Japan. And this will be the best memory of the trip for you! For French speakers, je parle aussi le français, donc je pourrai vous assister très facilement dans cette langue. Je suis sûr que vous allez avoir un bon souvenir avec moi pendant votre séjour sur Tokyo! Kazu is a great guy and very fluent in English as well as French! Just check out the pictures on his page to see he has a talent for capturing great moments. Highly recommended!